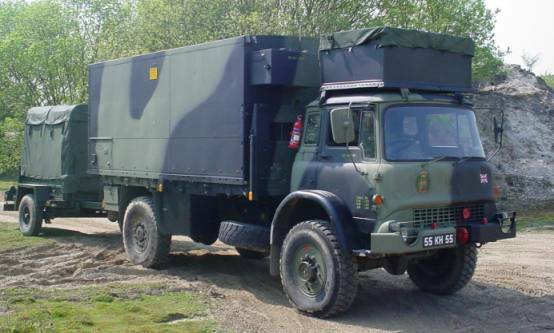 Engine: Bedford 5.4 litre turbo charged diesel developing 105 brake horse power at 2,500 rpm (from 1981 onwards). 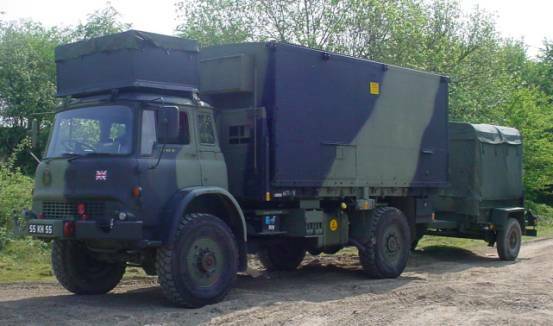 In it’s basic form the “4 tonner” is a cargo version with drop sides, tail-gate and full canvas tilt, but the variants were too numerous to list, back bodies were fitted for radio units and switching stations, offices, stores and workshops. Tanks were fitted for UBRE units, cranes fitted for light recovery and special platforms for Royal Engineer bridging units. Some were even used for ambulances and road layers. Later some MJ’s were modified to launch Midge reconnaissance drones for the Royal Artillery. 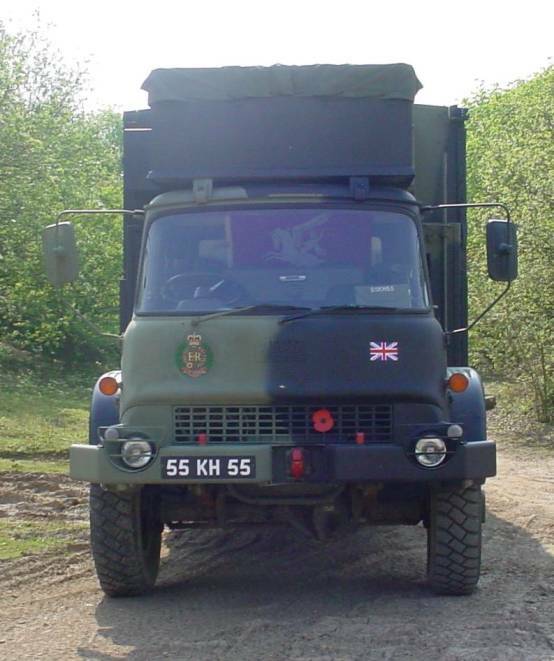 1989 - Entered service, allocated 11 Signals Regiment, Royal Corps of Signals, 4 Armoured Division BAOR, West Germany. 1992 - Reallocated 49 Field Squadron (EOD) Royal Engineers, Lodge Hill, Chattenden, Kent. 1993 - 49 Field Sqn (EOD), Carver Barracks, Wimbish, Essex. 1995 - 49 Field Sqn (EOD), Bosnia, Operation Resolute. 1996 - 49 Field Sqn (EOD), Carver Barracks. 1999 - 49 Field Sqn (EOD), Kosovo. 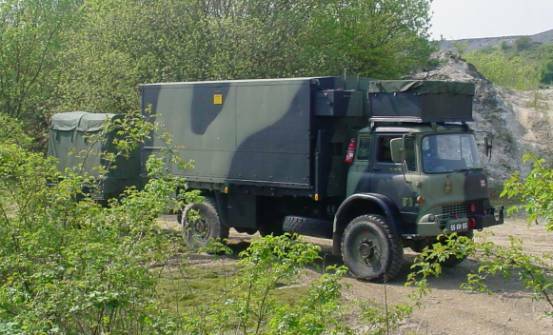 2000 - 49 Field Sqn (EOD), Carver Barracks. 2008 - Sent for disposal Blanford Camp, Dorset. 2009 - Purchased from Disposal Agent.